Gegužės mėnesį Lietuvoje stabtels laikas – pas mus atvyksta „Tuvan National Orchestra“. 2003 m. Aldar Tamdyn įkurtas ir dabar net 24-is atlikėjus vienoje scenoje buriantis orkestras groja tradiciniais Tuvos bei klasikiniais Vakarų, sovietmečio „hibridiniais“, tradiciniais Rusijos, modifikuotais Tuvos instrumentais. 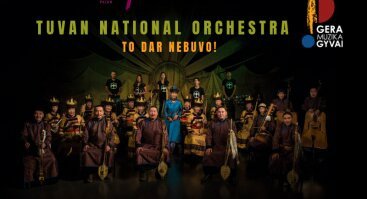 „Tuvan National Orchestra“ nariai yra daugybės išskirtinių Tuvos instrumentų – tokių kaip igil (dvistygis smuikas), khomus (Tuvos žydų arfa), doshpuluur (liaudiška liutnia) ar dünggür (šamanų būgnas) – virtuozai. 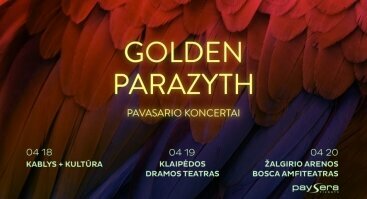 The time will stop in Lithuania, because “Tuvan National Orchestra” will perform here in May. Aldar Tamdyn founded this orchestra in 2003. Now there are 24 performers in the orchestra. They do play with traditional Tuvan and classical Western, hybrids from Soviet times, traditional Russian, modified Tuvan instruments. “Tuvan National Orchestra” members are virtuosos of many exceptional instruments like igil (two string violin), khomus (harp of Tuvan Jews), doshpuluur (folk lute), dünggür (drum of shamans). In addition, the orchestral repertoire is decorated with impressive archaic art – Tuvan guttural singing. This technic is a pleasant surprise for the listeners when the performer sings in several voices. Some members of “Tuvan National Orchestra” are well known artists in the West due to their mastery in guttural singing. 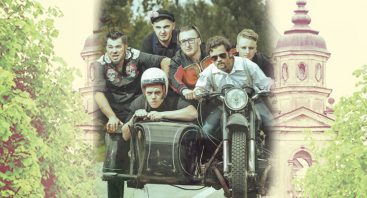 They are from bands like “Chirgilchin”, “Tyva Kyzy”, “Alash” and performers like Andrei Mongush who performed with “Huun-Huur-Tu”, Ai-Xaan Oorzhak, Kang-Xuler Saaya and Nikolai Damba. The members of orchestra do perform in well-known concert halls like New York’s “Canegie Hall”, Washington’s “Kennedy Hall”, London’s “Royal Hall”, “Elizabeth Hall” and Moscow’s “P. Tchaikovsky Hall” and many more. 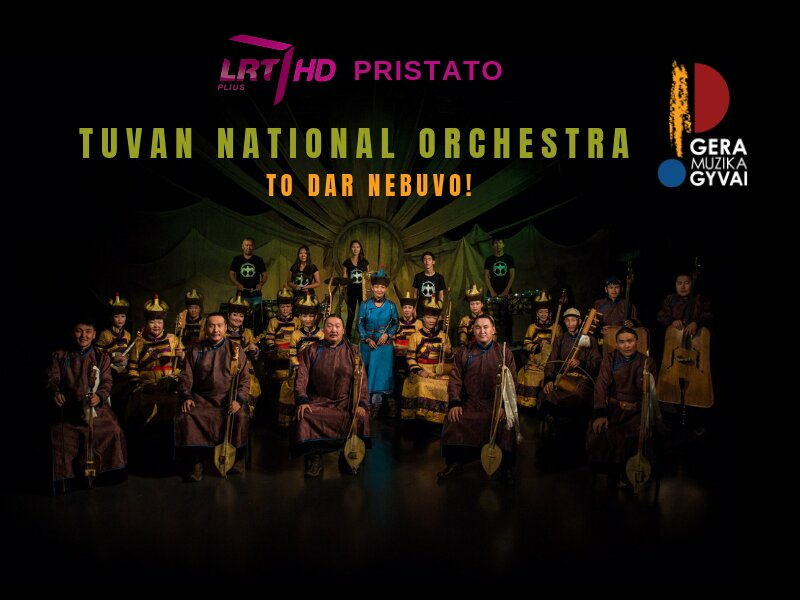 “Tuvan National Orchestra” will not leave anyone unmoved. This is a musical treasure from a land far away that is primordial and that reveals deepest meaning that is common to everyone. That meaning is beyond time and space. The mysterious orchestra is waiting until they can surprise you. Their language is music and uniqueness.